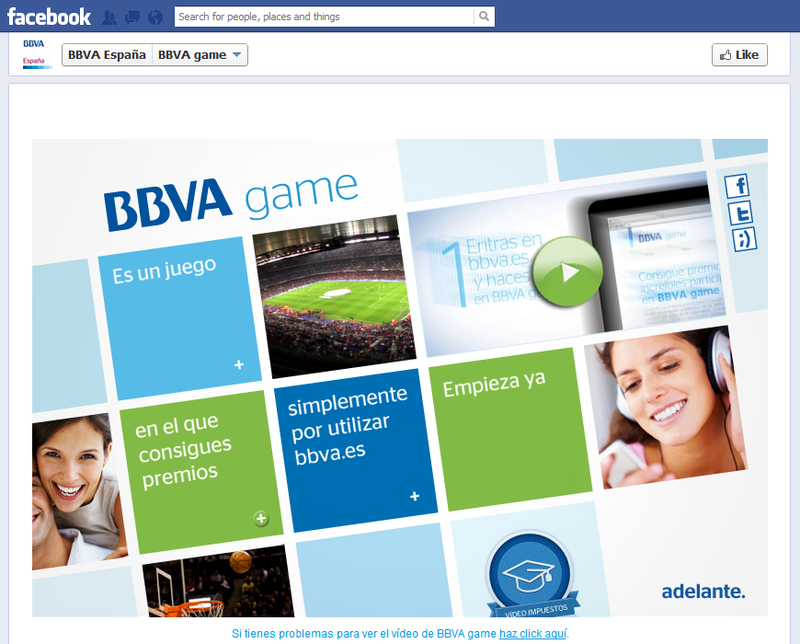 Earlier this summer, BBVA Spain launched a new app on facebook, the ‘BBVA Game’. In just over two months, it attracted over 37,000 users who tried to get hold of the 28 prizes (iPad, Samsung Galaxy, La Liga tickets…) given by the bank so far. Gamification is one of the hottest topics in banking, insurance and financial services. In the last 18 months, over the world, banks like Rabobank in the Netherlands, Barclaycard in the US or Chase and CIMB in Asia started to experiment and find more entertaining and fun ways to engage with their banking customers, aiming to change their financial behaviours by transforming everyday tasks in games. In a recent blog post, BBVA Spain annonced that their BBVA Game app on facebook has attracted a community of more than 37,000 players which already won 28 appealing prizes (iPad, Samsung Galaxy, La Liga tickets …), including two trips to New York to live and enjoy a direct match of the NBA. BBVA is keen to build on its momentum and grow their community as quickly as possible: currently, they give away 300 points on registration and another 2,000 points for every friend you convinced to register. BBVA Game is a simple game linking BBVA’s transactional banking site -www.bbva.es – and providing a fun way to learn how to take advantage of all the services available. BBVA customers earn points by using the site and buy products or services. Those points can be redeemed for gifts (direct-download music and streaming of online movies) and also through sweepstakes. We invite you to watch this video where Bernard talks us through the concept. In your opinion, how valuable to a bank is such an initiative on facebook? Are you working on gamification projects at your financial institution?